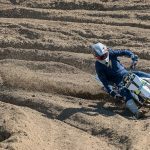 Motocross is a sport that demands a high performing motorcycle capable of delivering specific attributes to help a rider go fast. The best bikes combine performance, ergonomics, and style points (among many other traits) into a single package that we, as riders, use to figure out which is best for us. 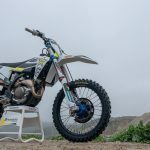 Unlike our street motorcycle brethren, us motocross folk have a limited amount of European manufacturers to choose from when comparing makes/models to the Japanese competition. 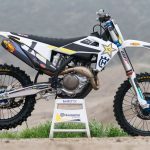 In recent years, we have seen the new-era dominance from the limited European OEMs, like Husqvarna, who have developed amazing motorcycles used to win championships at the pinnacle of our sport, which leads us to their latest and greatest public offering – the 2019.5 FC450 Rockstar Edition. 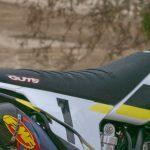 With only 450 of these bikes being imported into the U.S., we were ecstatic to get our turn at swinging a leg over this bike at Glen Helen Raceway. 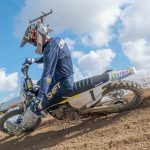 Speaking of championships at the pinnacle of our sport, Jason Anderson piloted his Husqvarna FC450 to the 2018 Supercross title just last year. 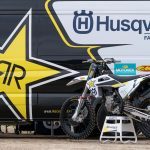 Due to homologation rules, Husqvarna was forced to import and sell a certain number of these factory replica 450s here in the U.S. so he could race his way to the number one plate, which they have coined as the FC450 Rockstar Edition. This motorcycle is absolutely beautiful! 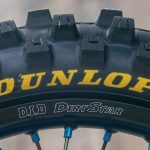 For the new year, the bike hosts a lot of factory-inspired parts that make it stand out as a true race-ready bike: DID Dirt Star wheels laced to blue anodized hubs, new blue split-design triple clamps, FMF 4.1 exhaust, Pro Taper handlebars, Guts Racing seat cover, factory hole-shot device, and of course, the Rockstar Energy racing team graphics. Pictures definitely do this bike justice, and when seeing it in person, the bike makes an even bigger statement. Ok, we know this bike looks amazing, but now, let’s get into what it is like to actually ride it. 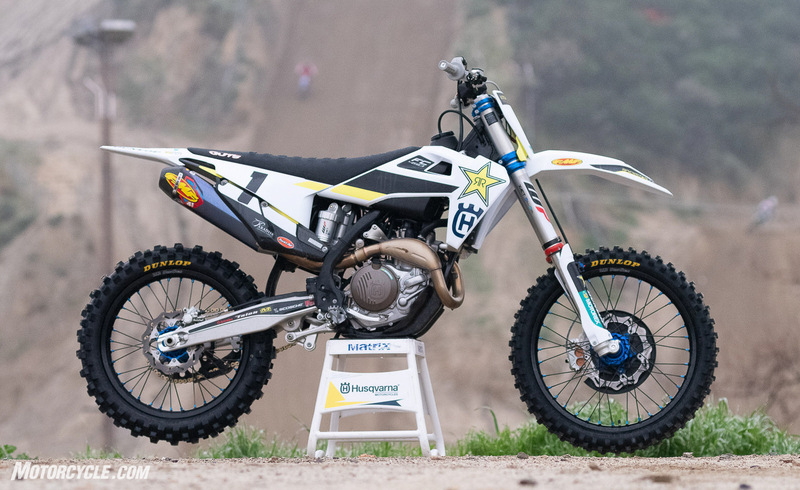 The power-plant on this FC450 Rockstar Edition is truly something special. Is it fast you ask? 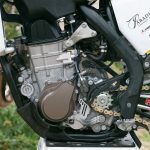 Of course, it is, as it has more than enough power to hang with any of the 450 competition. What truly makes these bikes unique is how refined and useable the power is for the rider. 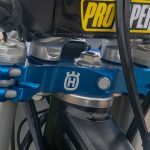 Husqvarna updated the rocker arms and bushing inside the Pankl connecting rod, as well as introduced a newly designed piston, all with the intentions of making this motor more free-revving and quicker to accelerate. 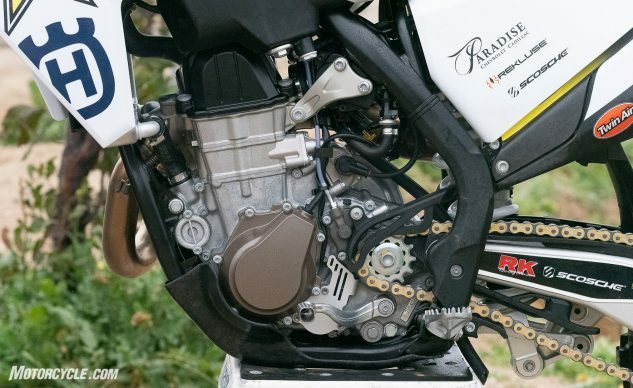 And that it does – providing a smooth and calculated range of power that has incredible connectivity to your throttle hand. As with last year’s model, the map switch still resides on the handlebar, allowing you to go back and forth on-the-fly between two different ignition settings: Map 1 – is smoother and more linear power, that opens up and revs to the moon from mid to top end. 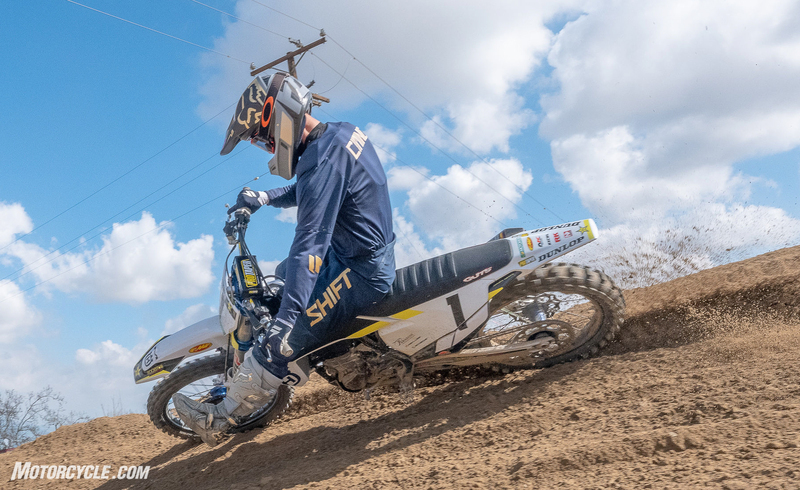 Map 2 is a little more aggressive down low, allowing the rider to harness the more snappy/torquey feel that some may enjoy out of a 450 power-plant, but slowly tapers off toward the top end. Personally, the usability and feel that map 1 provides was perfect for me, as I always enjoy a more linear power delivery on these modern-day four strokes. 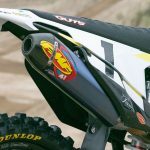 The new addition of the FMF 4.1 muffler helps round out the meat of the power by opening this FC450 Rockstar Edition up. If the exhaust could win on looks alone, it would, but it also sounds great and helps give the bike some added punch across the RPM range. 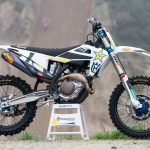 Husqvarna and KTM are the only manufacturers still utilizing air forks on their production bikes. One of the major reasons is because KTM owns WP suspension components. The second is the fact WP has the best performing production air fork on the market. 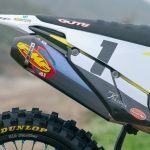 The WP air forks have come a long way and continue to improve year after year. Do we still prefer the feel and performance of a conventional spring set up? Absolutely. But, the 48mm WP XACT fork on the FC450 Rockstar Edition does perform well. For the new year, the fork sees updated settings and a new piston design, all with the intentions of providing more of a plush feel in the initial part of the stroke. Because of the steel frame on these motorcycles, Husqvarna is trying to find the balance between rigidity and comfort and knew that they have lost some points in the past with having a harsh feeling front end. The updated fork settings have improved the feel, but not perfected it. The addition of the new split-design triple clamps allows the fork to keep a smooth, consistent stroke from the top to the bottom. 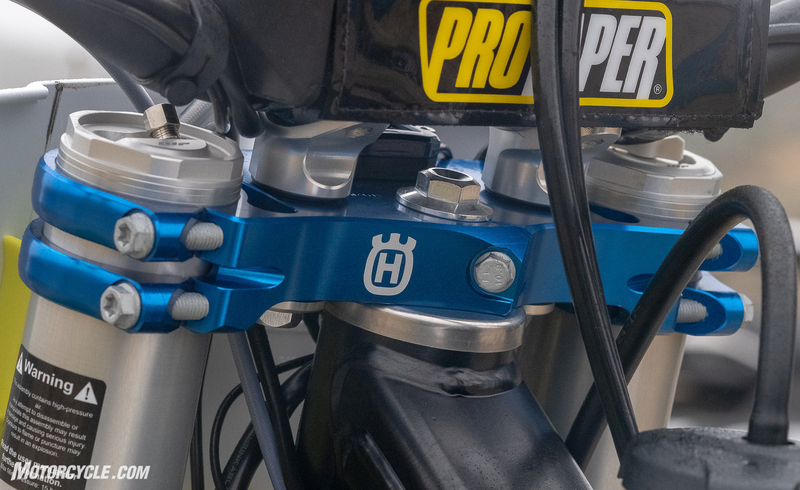 With the older version clamps, if you were to accidentally over-torque the pinch bolts (which is something that many of us could do unintentionally), it would result in pinching the outer tube of the fork leg. This then makes the fork become “hung-up” or stick in the mid-stroke. So, not only do the newly designed triple clamps look good, but the functionality is the real highlight. 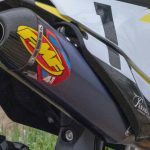 The WP rear shock has always provided a trustworthy feel on these European motorcycles, and this new model is no different. Due to my weight, the spring rate was a little out of my range, but we were able to get sag and settings close enough during our test day. We did have to make some adjustments on high-speed compression and rebound to harness more balance, and with each passing lap, we became more and more comfortable. 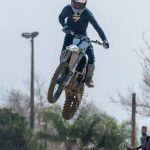 It goes without saying, having your suspension sprung and set up specifically for your weight and riding ability is probably the best investment you can make besides buying the bike itself. 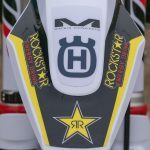 We are confident that this FC450 Rockstar Edition has huge potential in this department to make it even better. When talking about this bike to anyone, we have realized that, when mentioning it’s handling characteristics, it makes us smile. 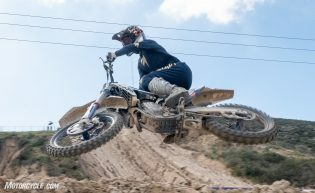 That is because these FC450s really are a blast to ride! Line selection is made easy on this bike; long deep ruts, fast sweeping corners, soft powdery berms, the Rockstar Edition does it all. This motorcycle is incredibly playful and really allows you to point and shoot anywhere you want to go on the track. 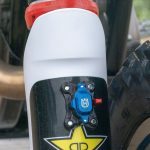 This also stays true when off the ground as well, as the FC450 is one of the lightest 450s on the market. 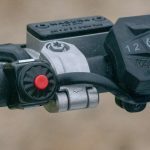 The new triple clamps give you the ability to switch between the standard 22mm and optional 20mm offset, but the bike handles so well in standard trim, we do not see the need to go the shorter route. The ergonomics play into the overall feel with a very thin and nimble cockpit that allows for easy transitioning from the front to the back of the motorcycle. 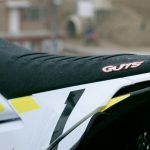 The new addition of the Guts racing seat cover definitely keeps you in place no matter the conditions, but be aware that a long day in the saddle could potentially result in a sore bum. The seat cover is grippy! The Pro Taper EVO bars are a perfect compliment to the rider cockpit, which has a pretty mild sweep and bend, and offers enough flex to aid in reducing the harsh feel the front end can transmit from time to time. When you tie all of these attributes together along with the best, most powerful brakes in the business (Brembo), you are truly sitting atop a championship winning machine in every right. 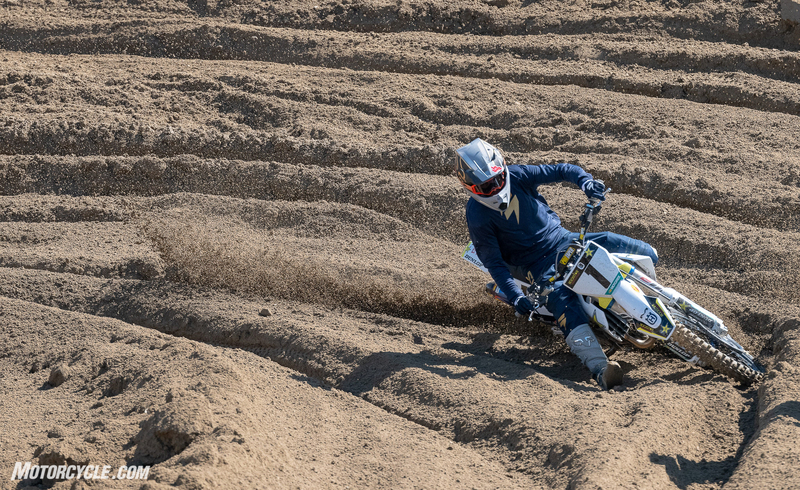 There is no question that we enjoyed our time aboard the 2019.5 Husqvarna FC450 Rockstar Edition. 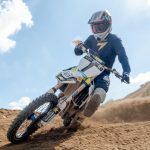 One day of riding is definitely not enough, and with only 450 of these amazing bikes available in the U.S., we hope to be able to get more seat time in the future. 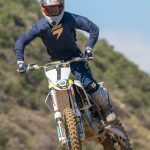 Like we mentioned at the beginning of this review, the Husqvarna/KTM combo are the closest comparison motocross riders have to the likes of a road racing import like Ducati, Aprilia, or BMW. There are not very many dirt bikes available that boast that luxurious, exotic feel, but this bike does! It is dripping with it, and you will understand what we mean when you see it in person and swing your leg over to ride it. With an MSRP of $11,199, the investment is not for the faint of heart, but remember you are getting a near race-ready machine with almost every option you can imagine right off the showroom floor. 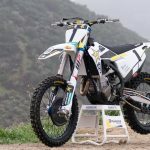 Kudos to Husqvarna for continuing to push the envelope every year by producing industry-leading motorcycles that are plenty capable of winning championships. Only 450 bikes are available to purchase in the U.S.